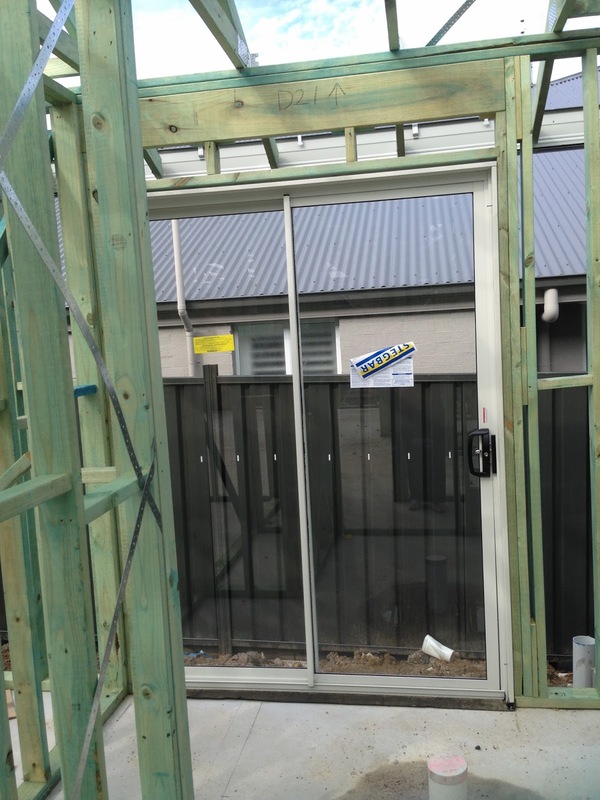 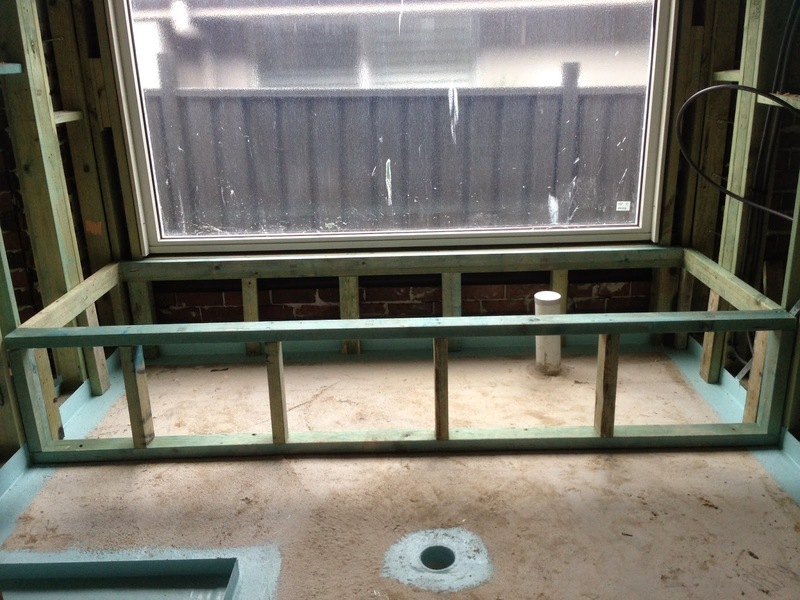 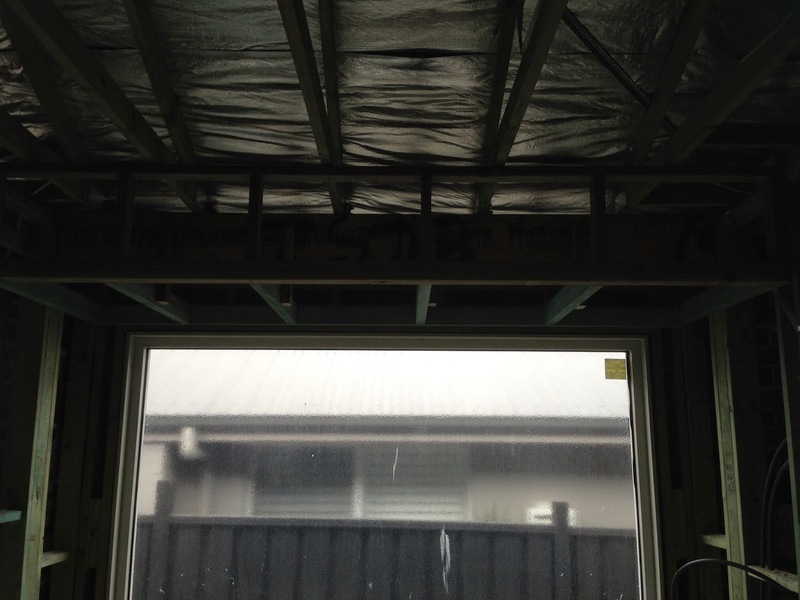 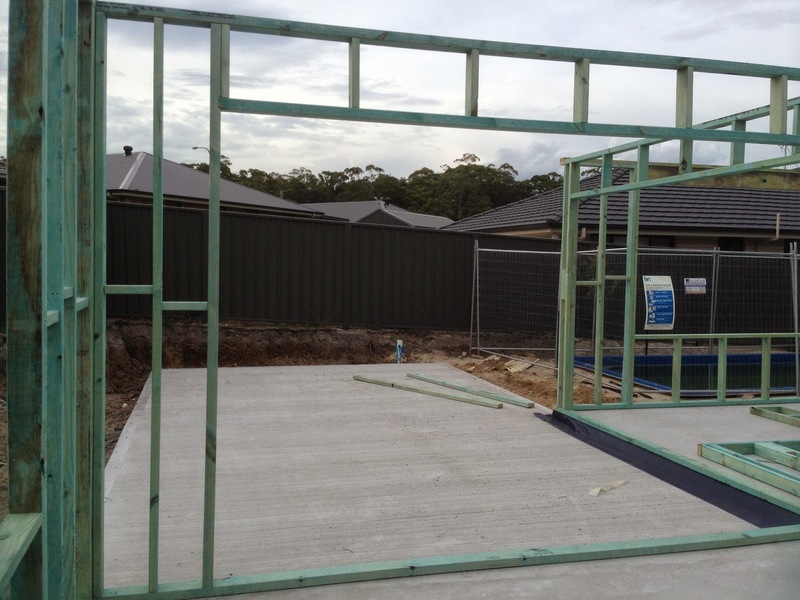 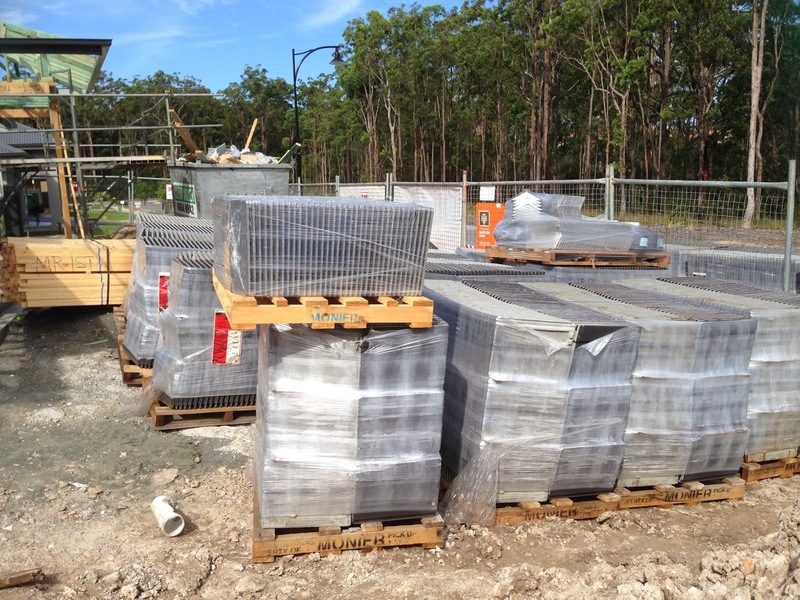 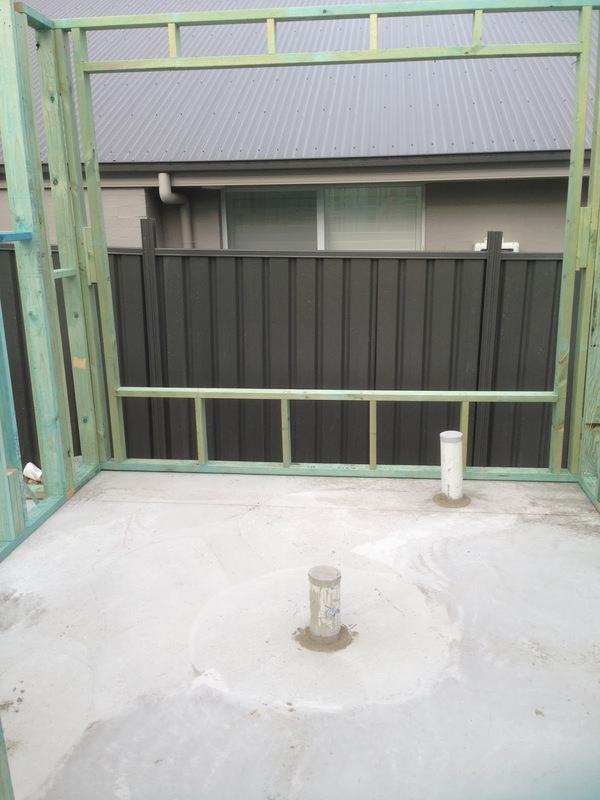 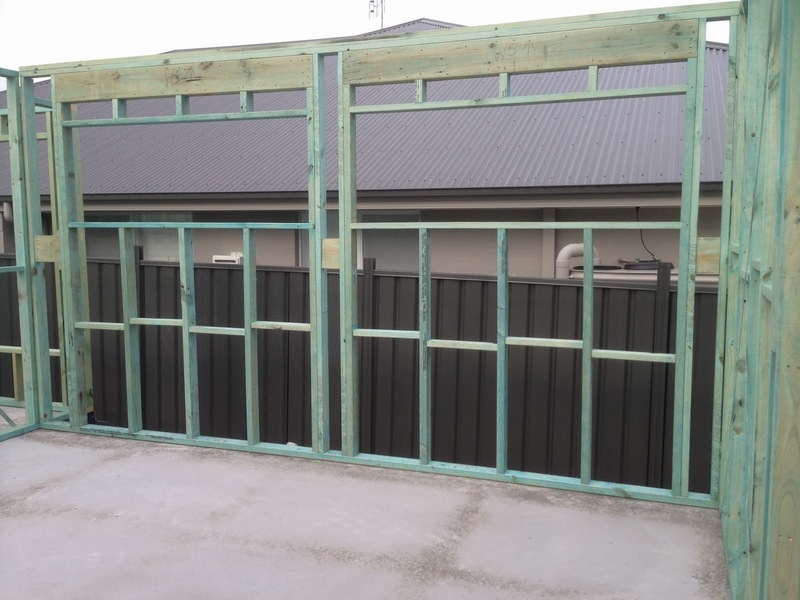 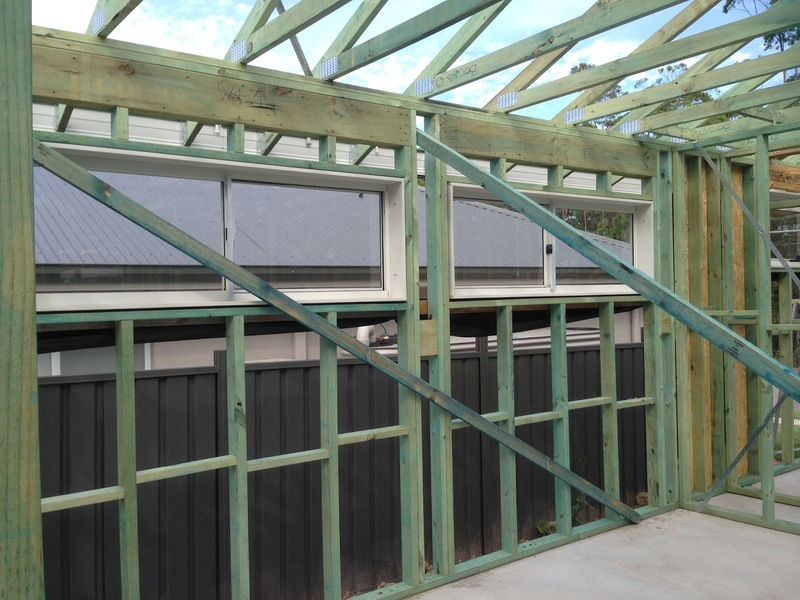 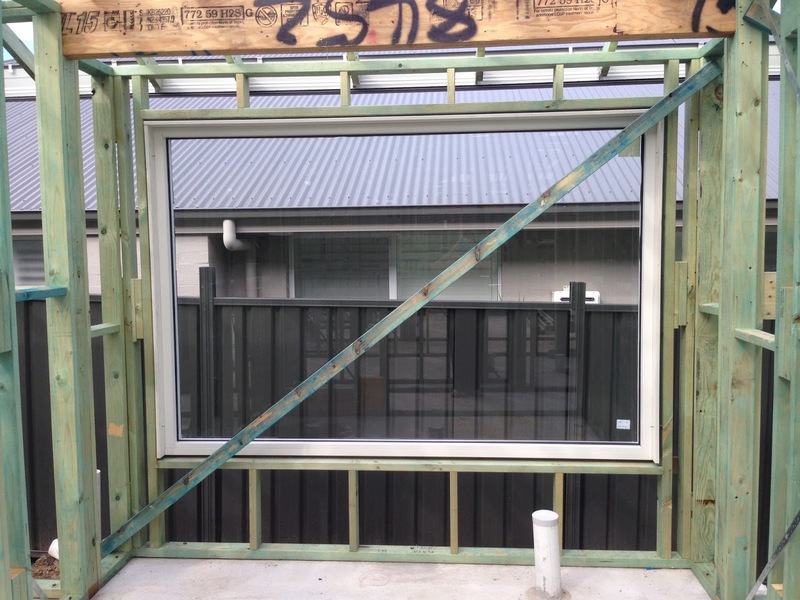 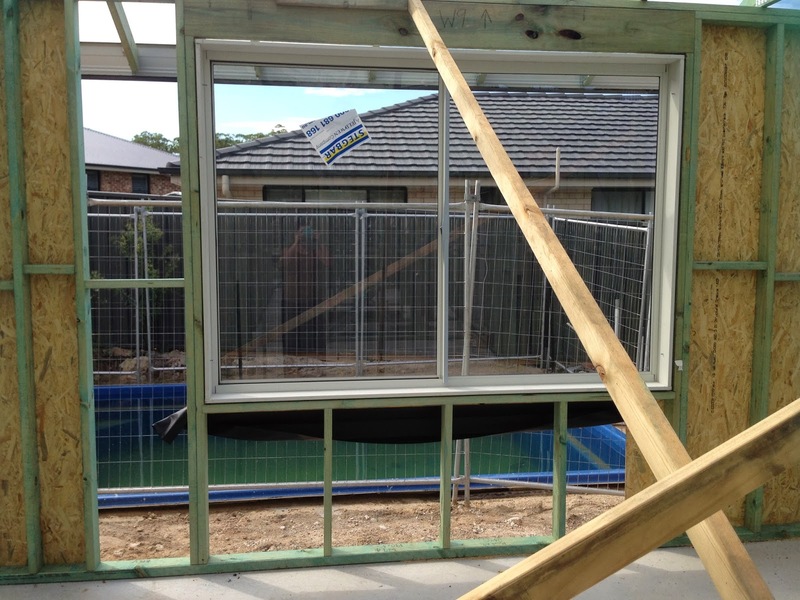 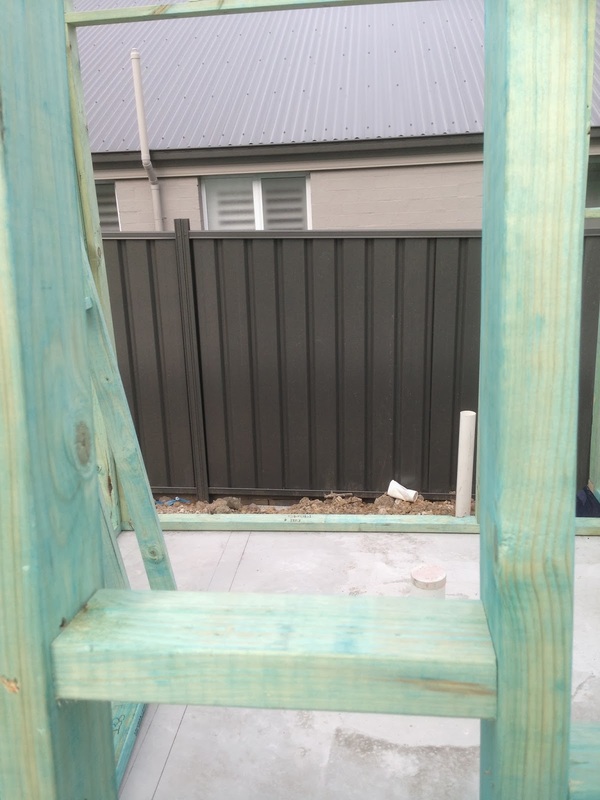 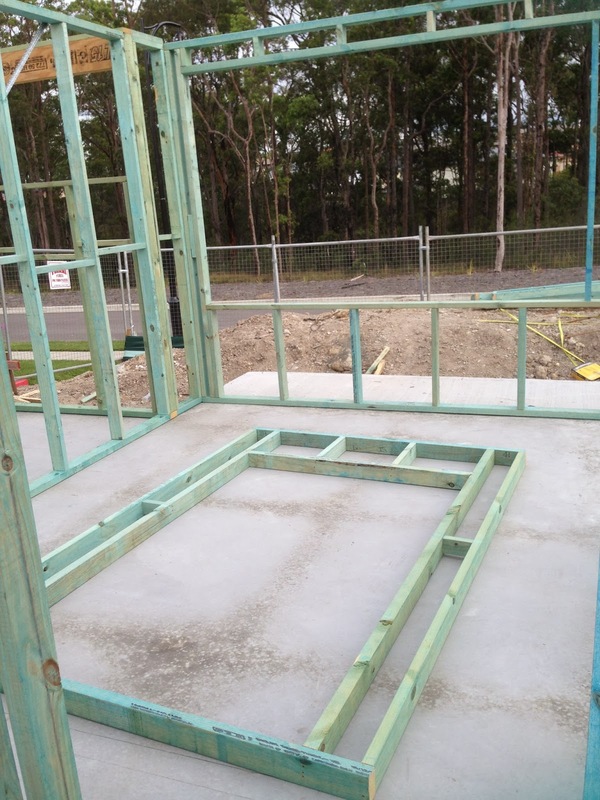 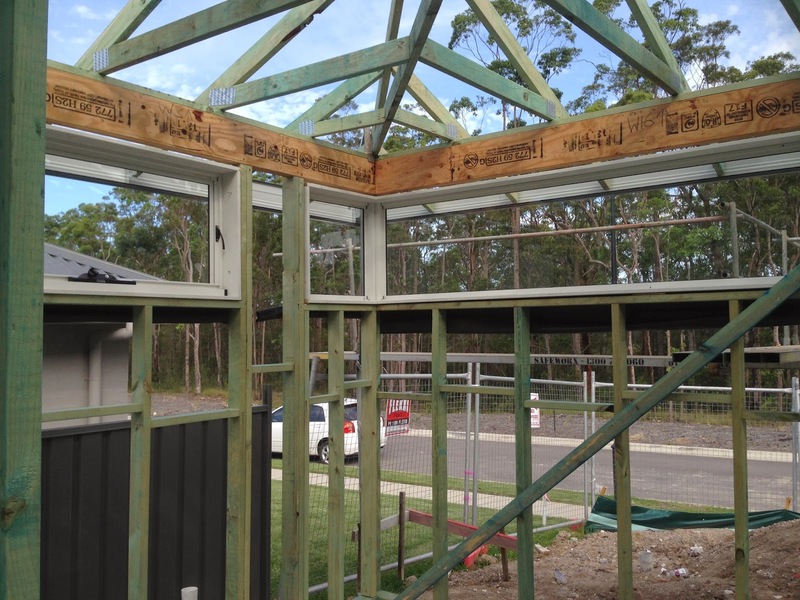 Yesterday saw our termite protection installed, as well as our frames delivered and partially installed. 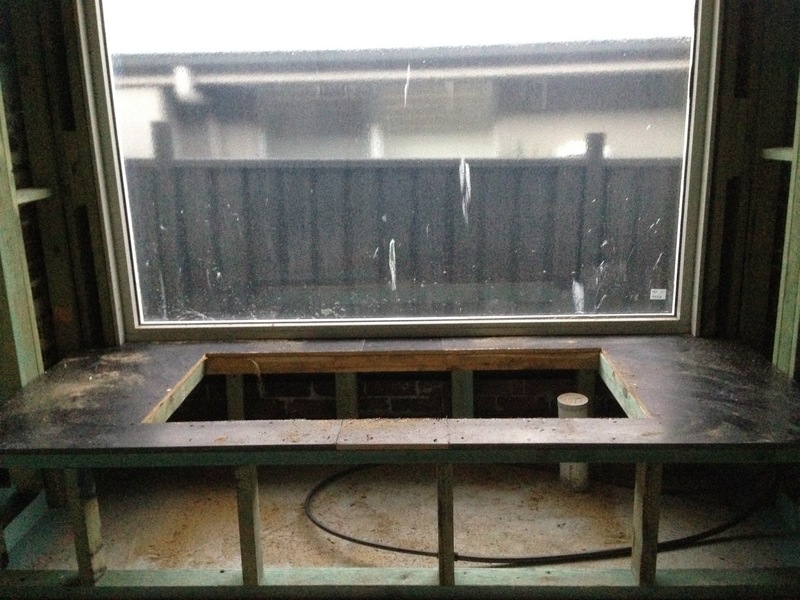 Looking good so far other than a random plumbing pipe in bedroom 4. 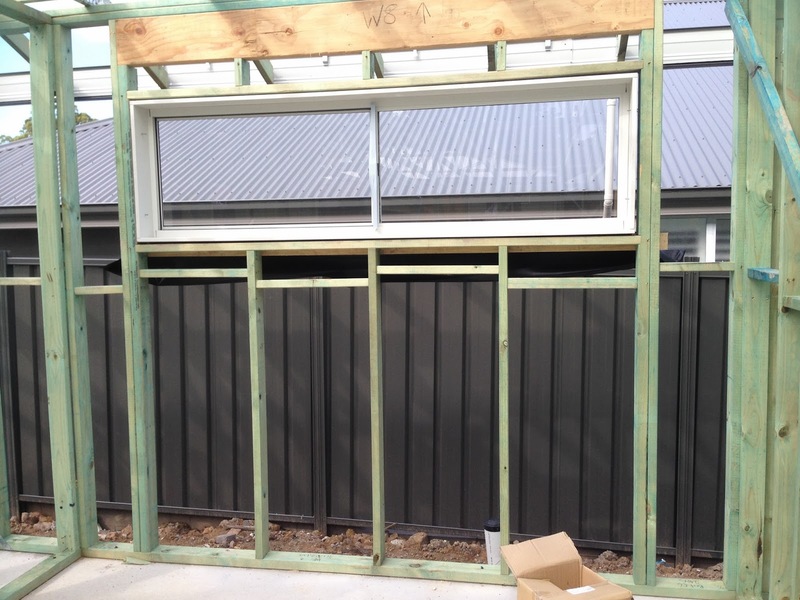 Also not sure our fridge is going to fit in the space, so going to have to look into that a bit further before they proceed to far as we have a variation that states that the finished fridge space needs to be 980mm wide and at the moment it only appears to be around 940mm. 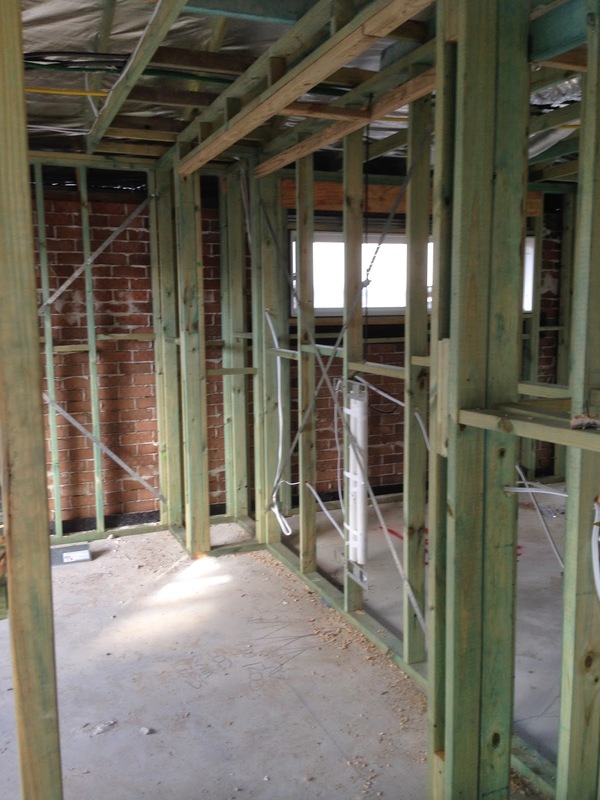 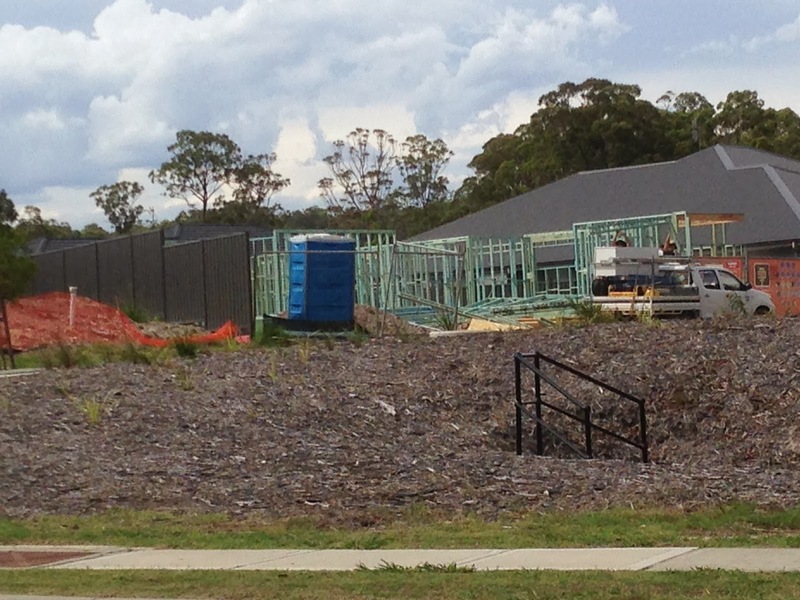 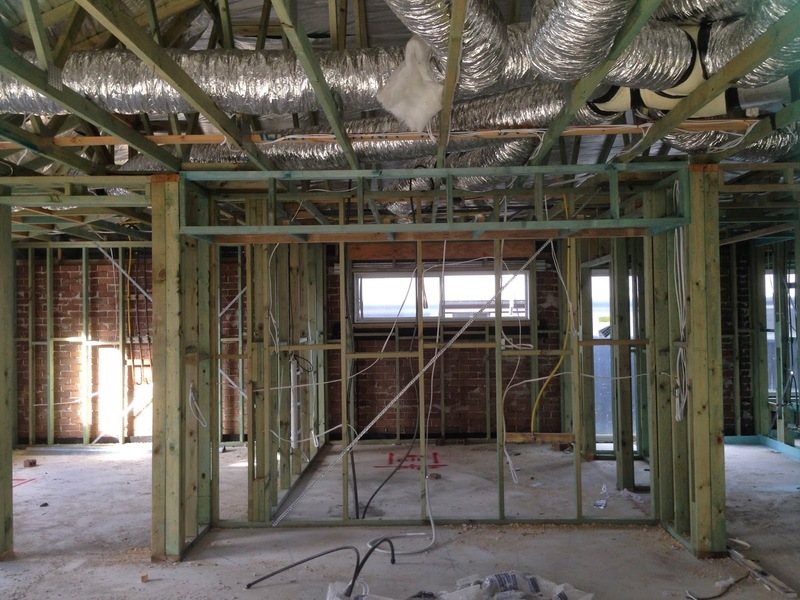 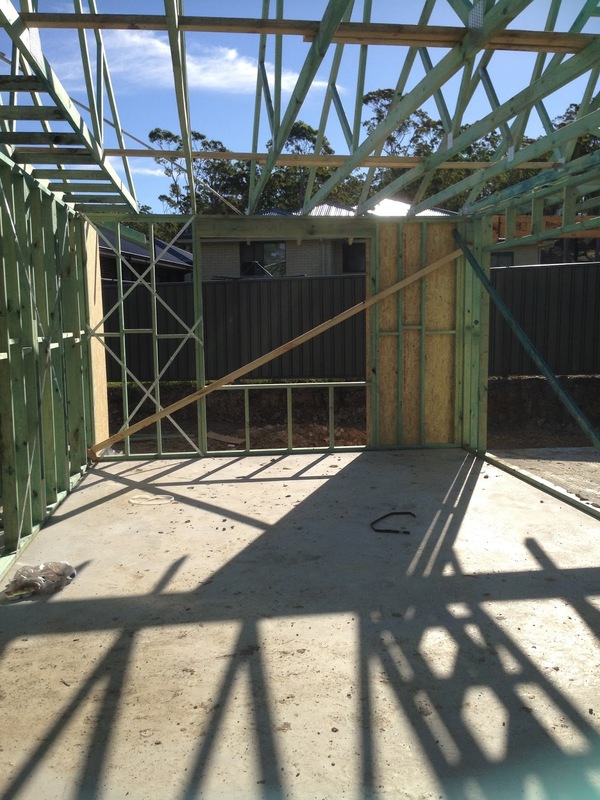 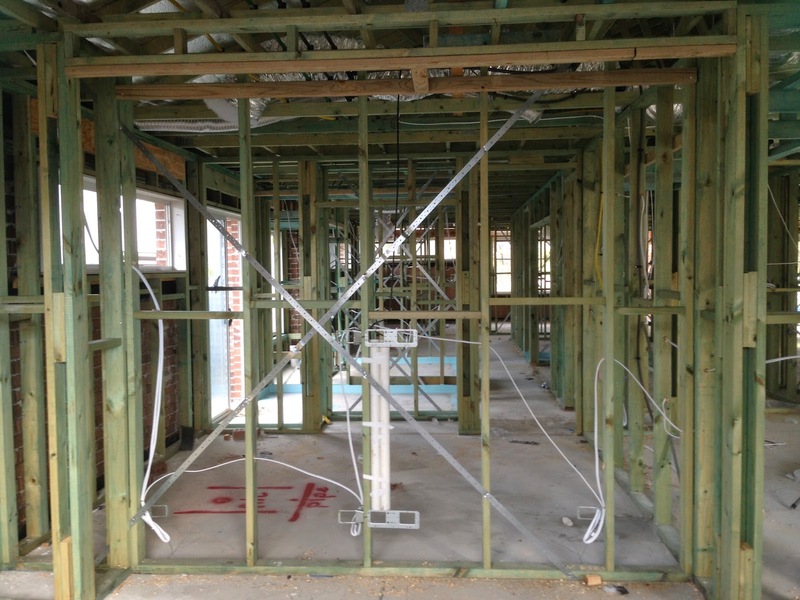 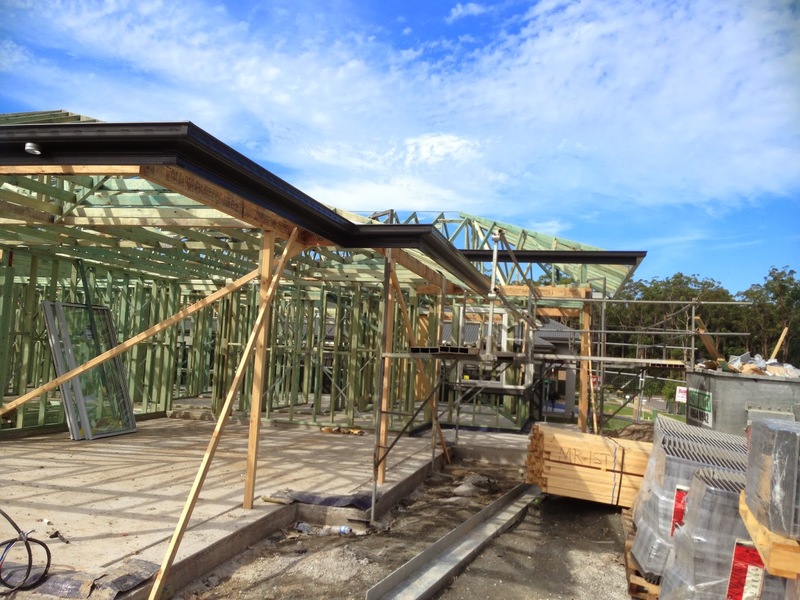 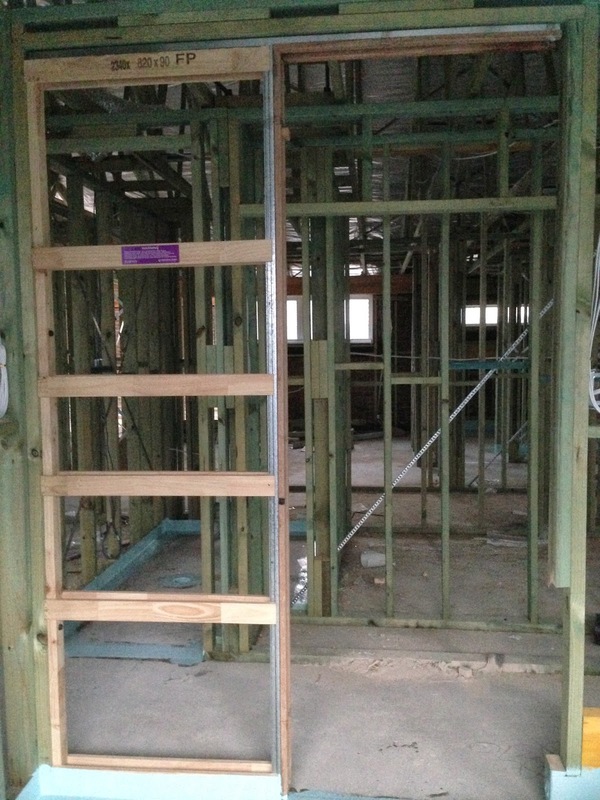 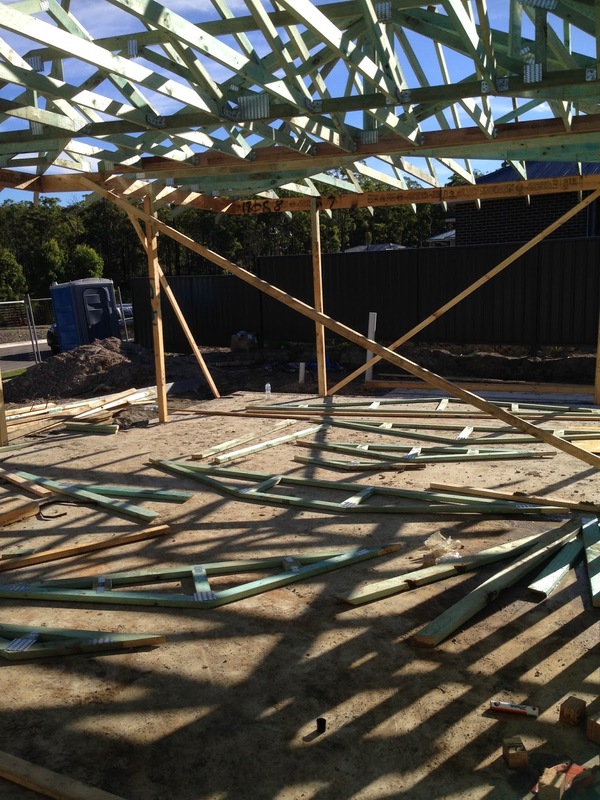 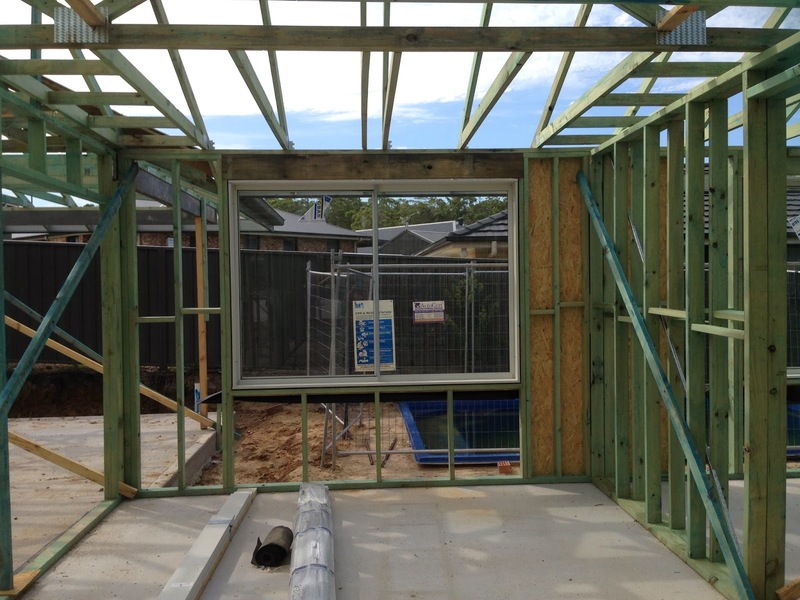 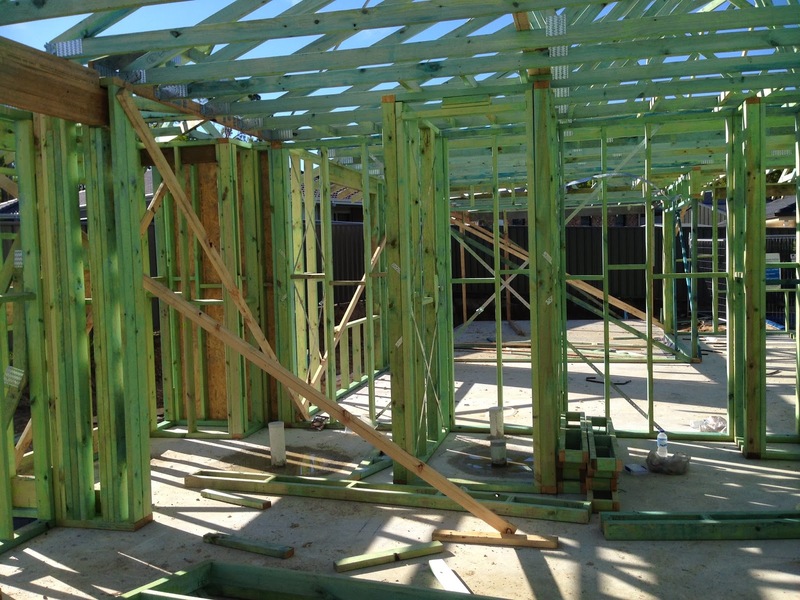 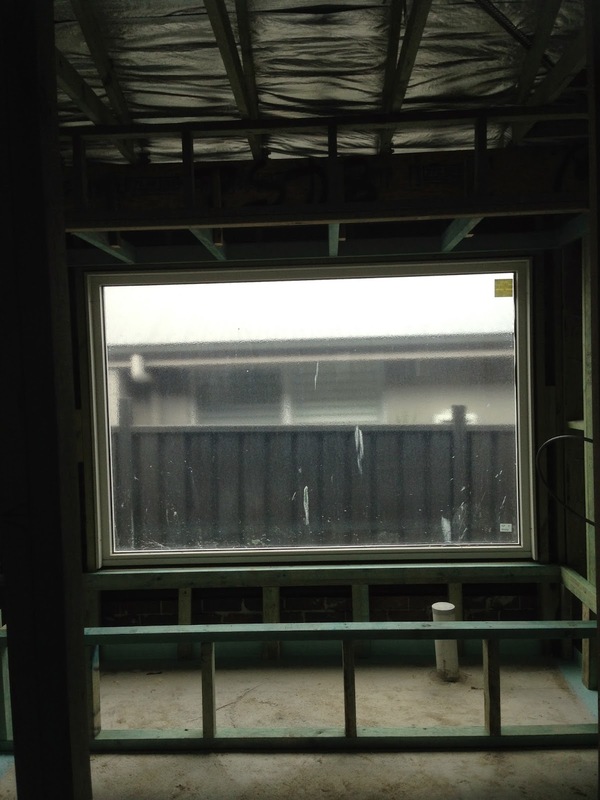 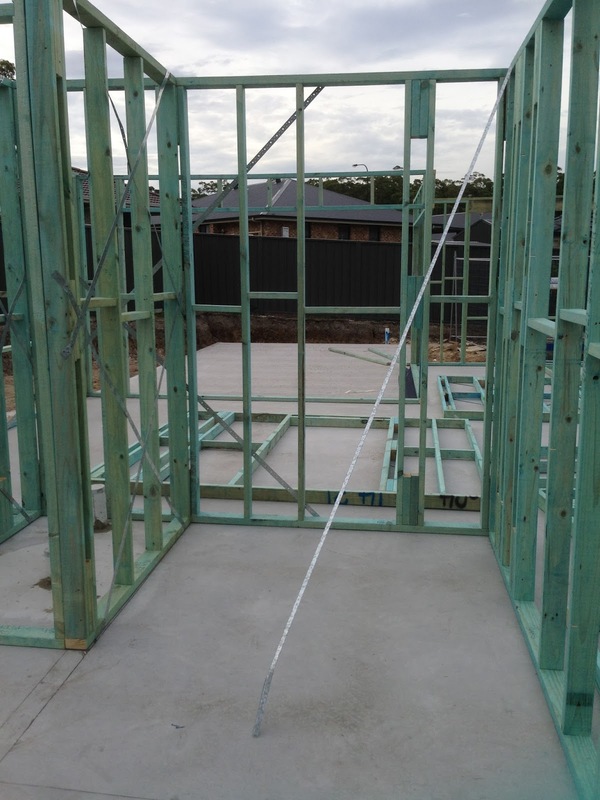 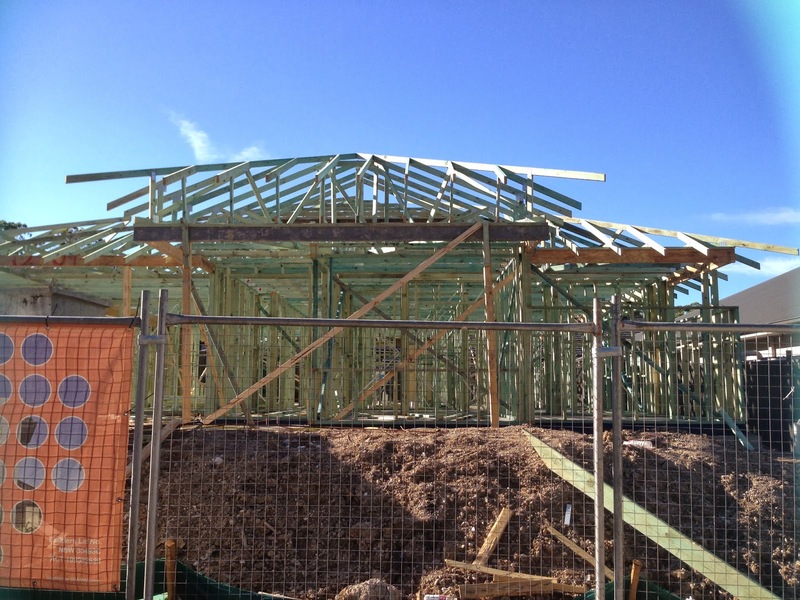 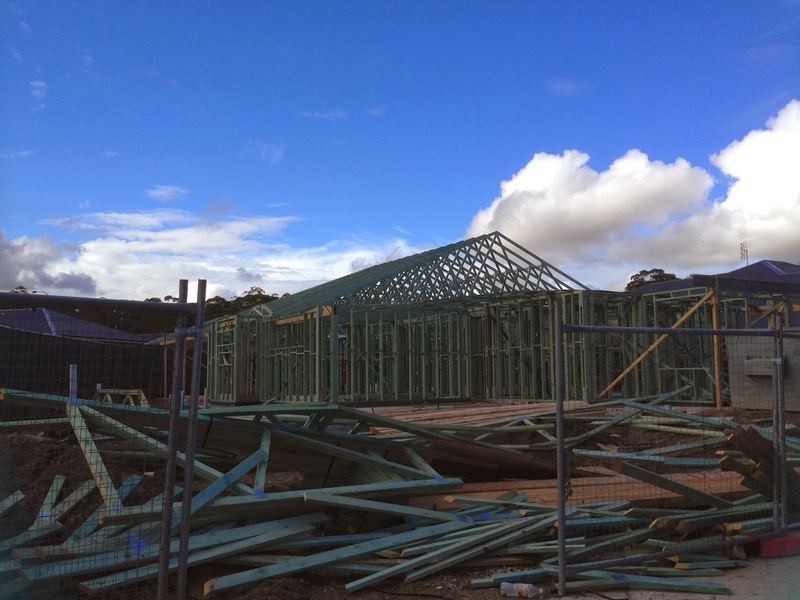 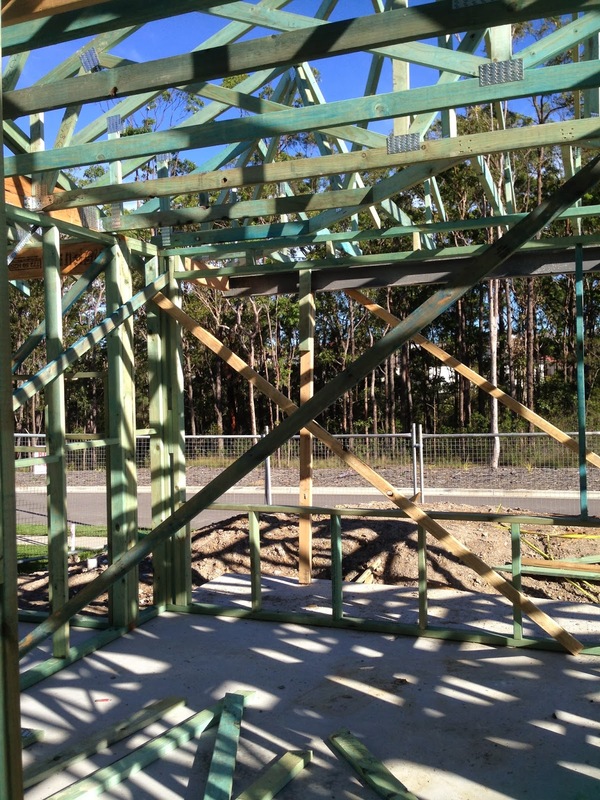 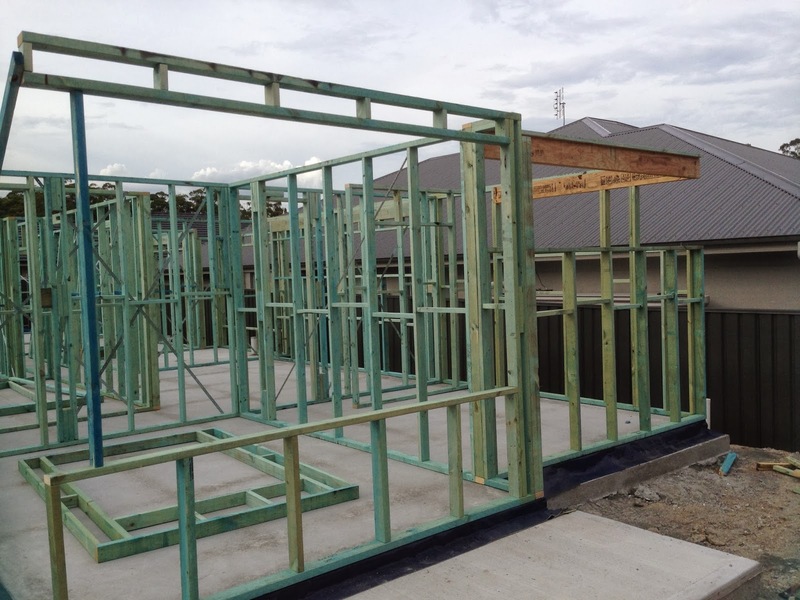 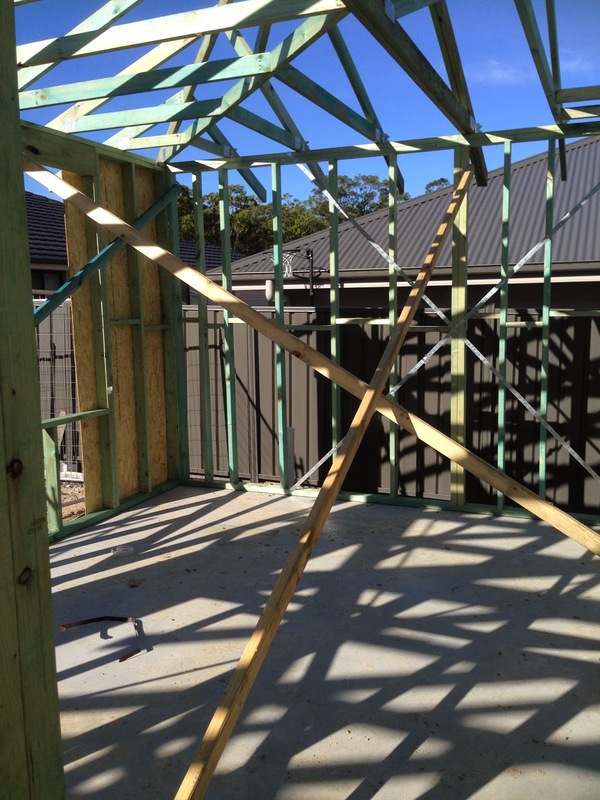 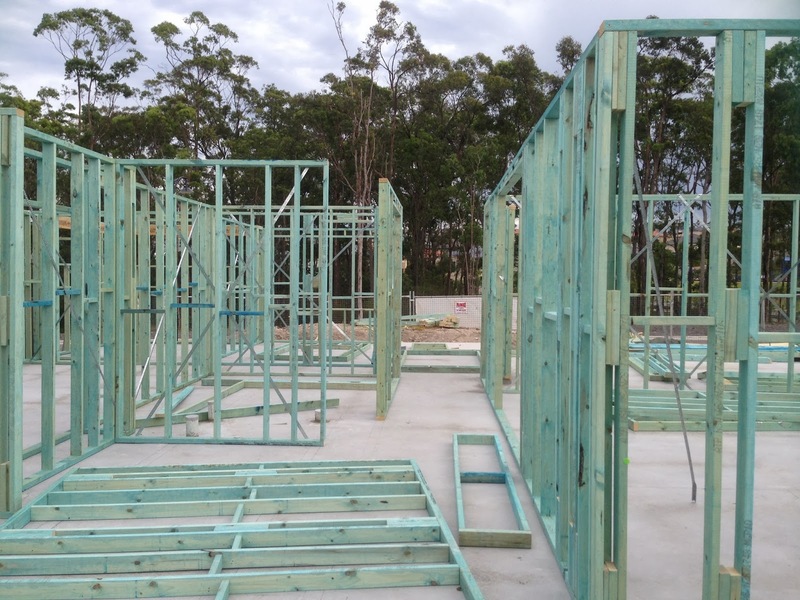 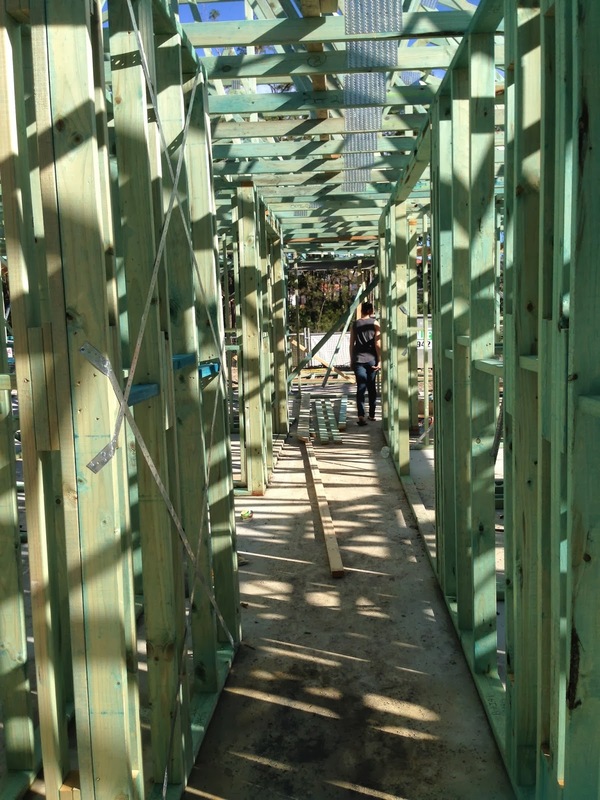 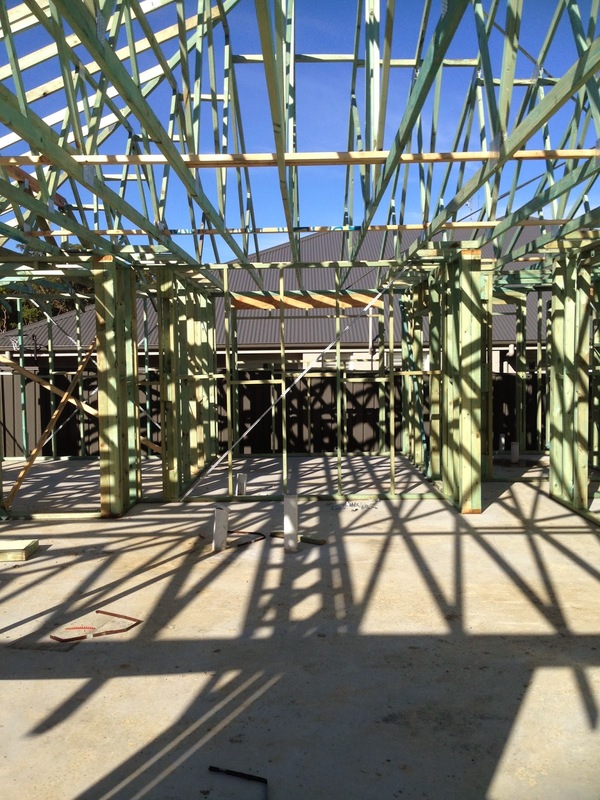 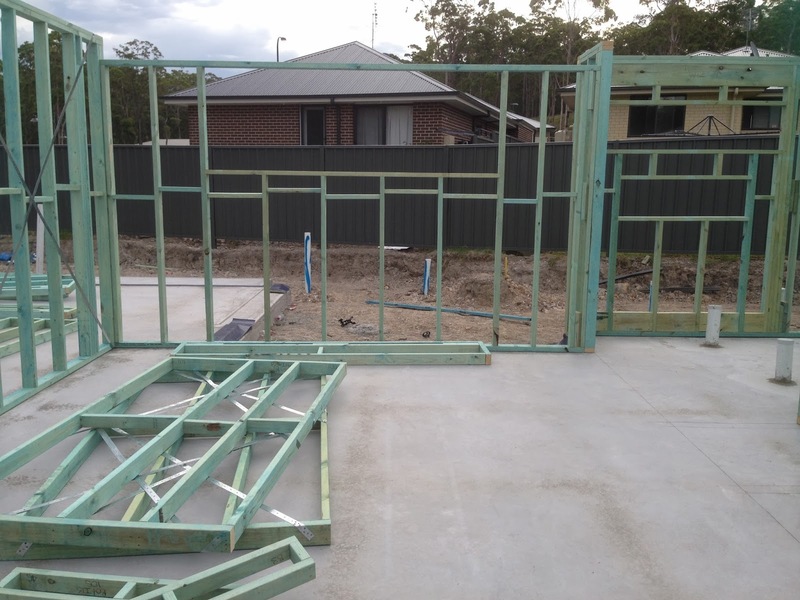 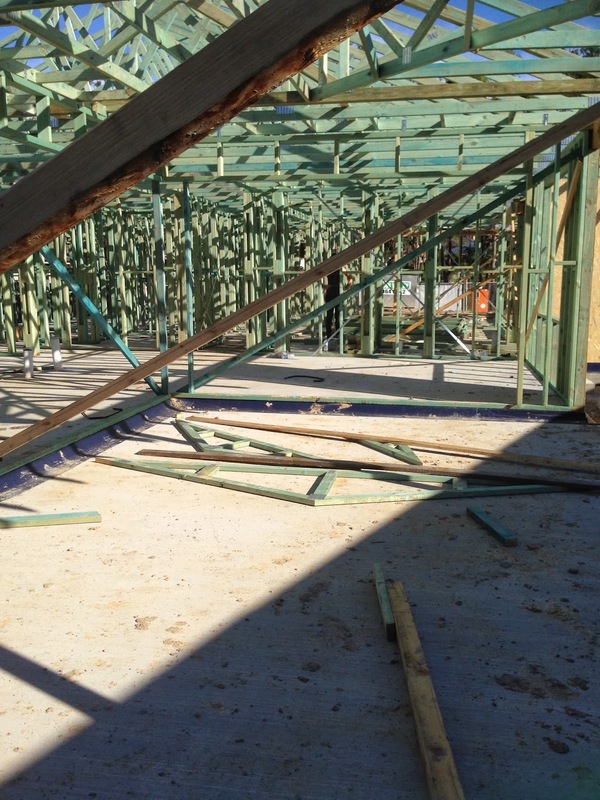 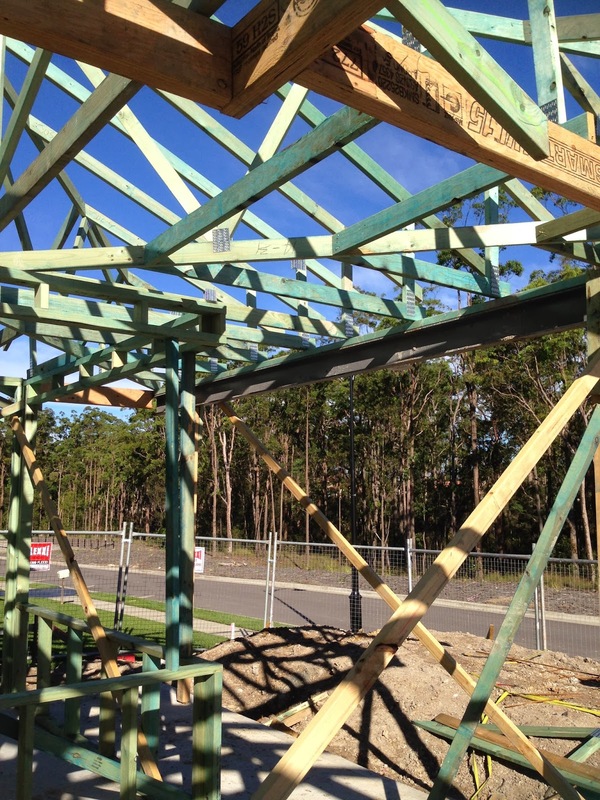 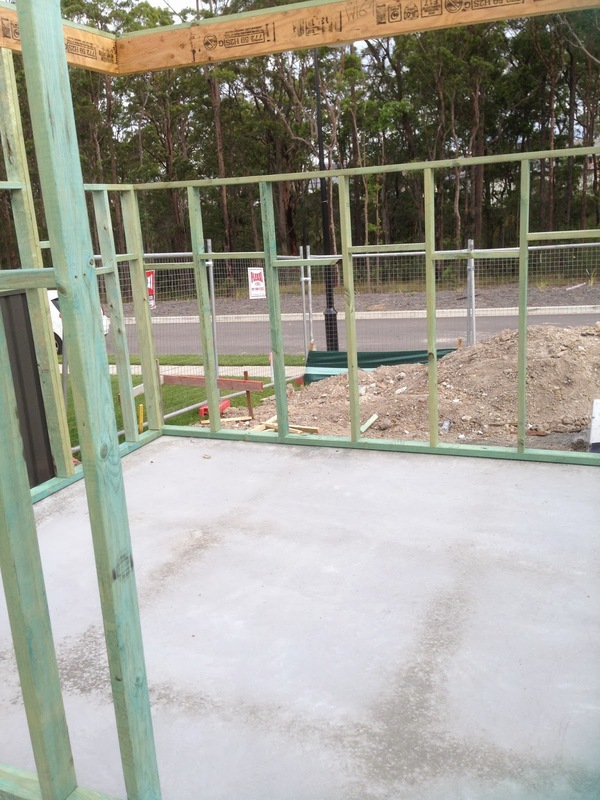 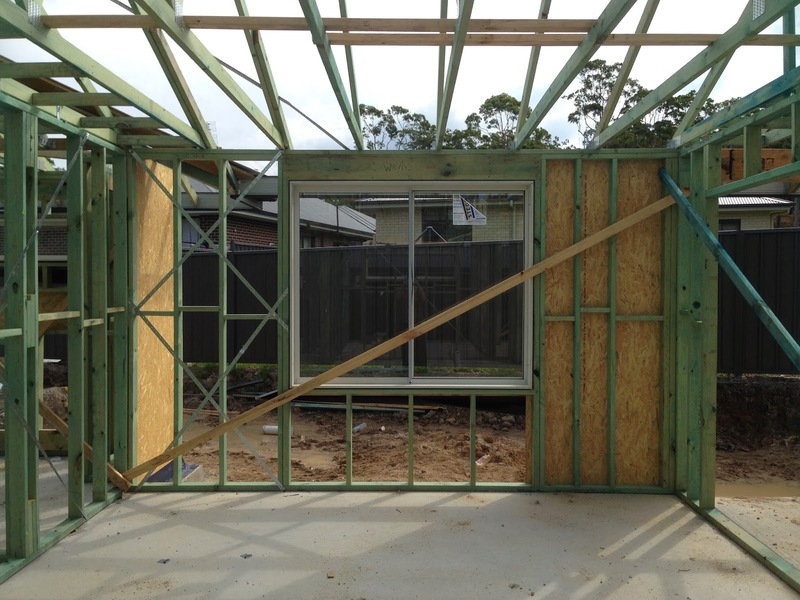 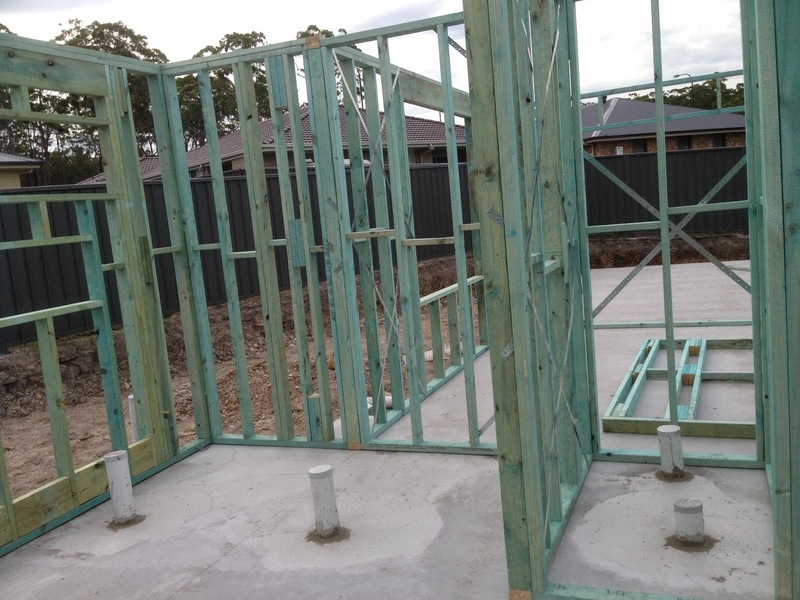 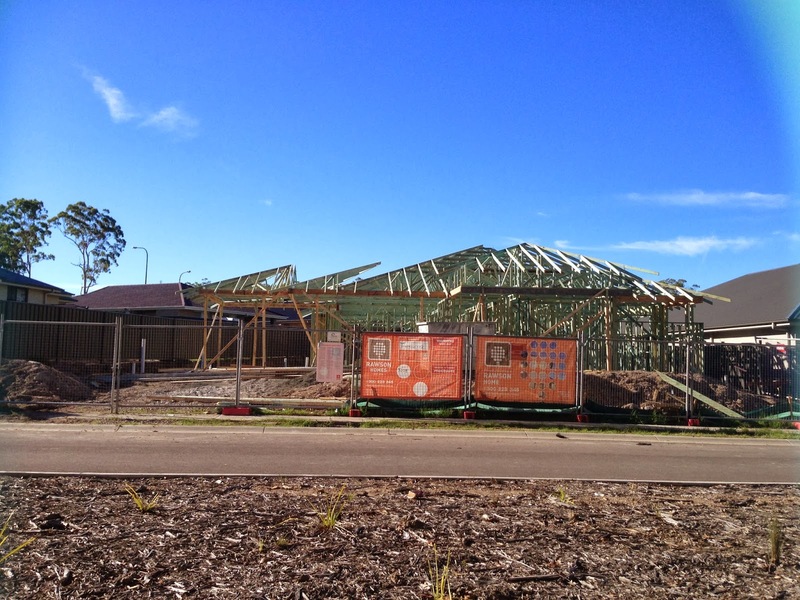 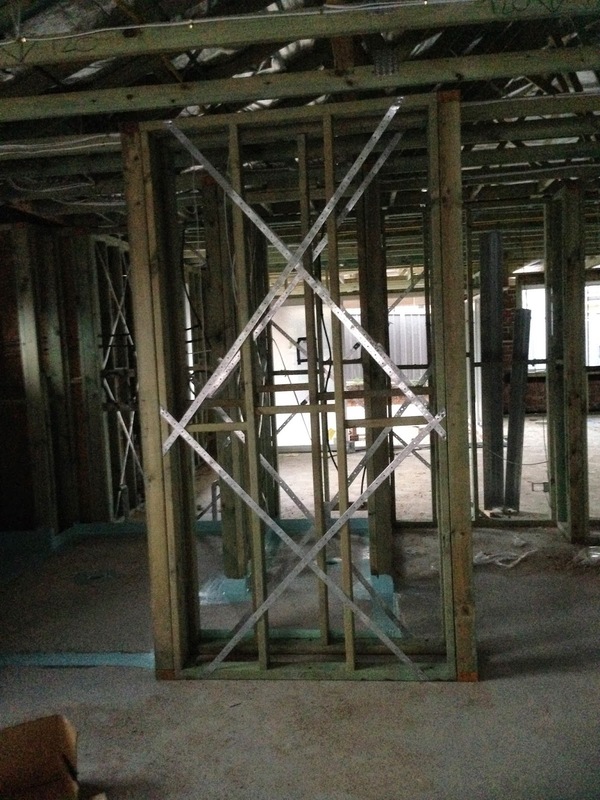 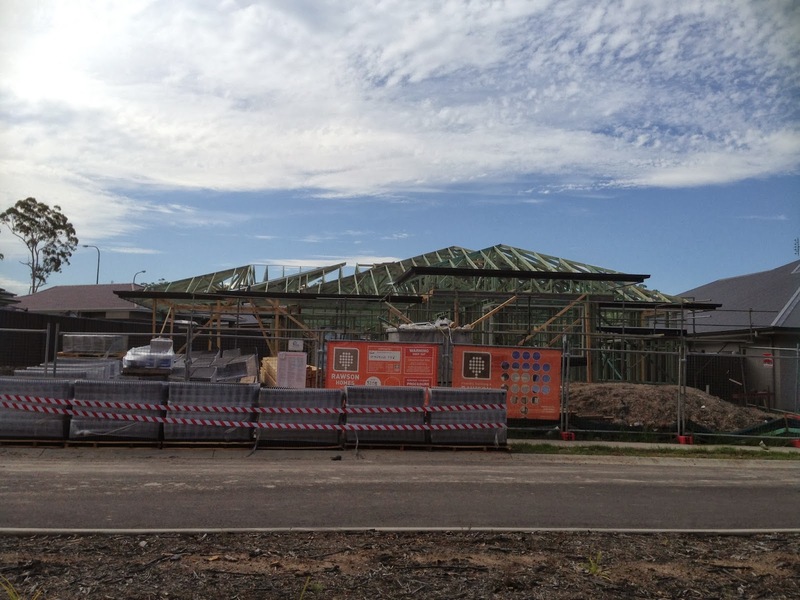 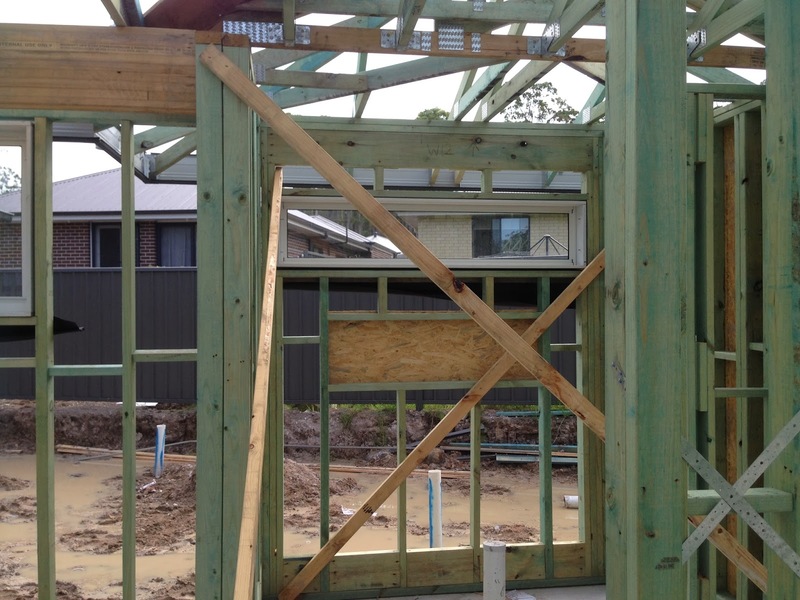 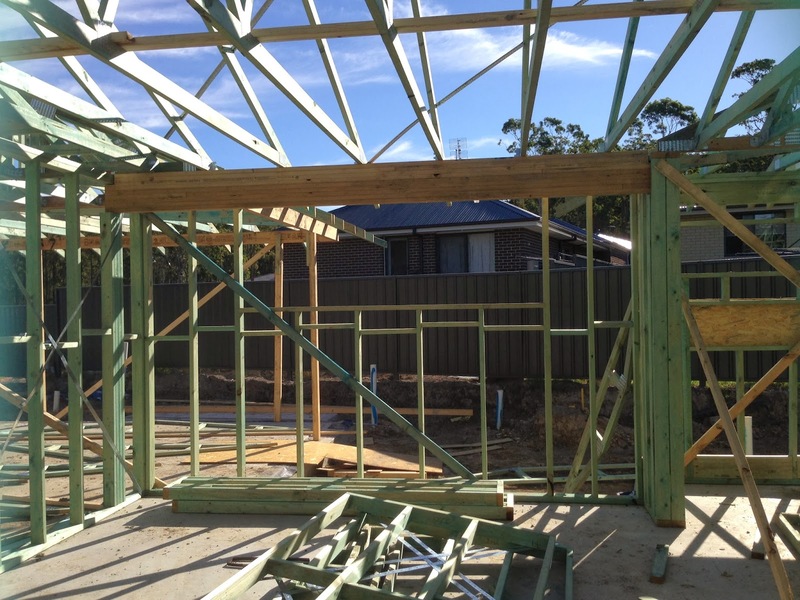 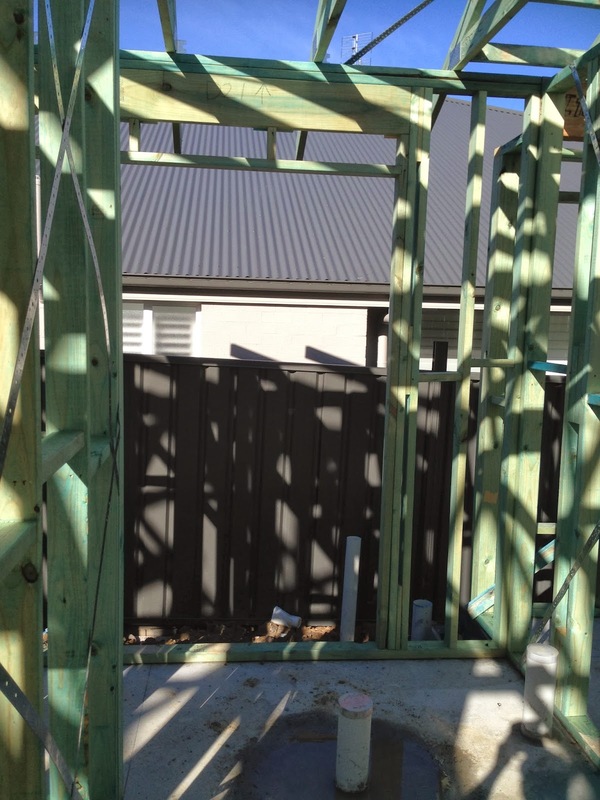 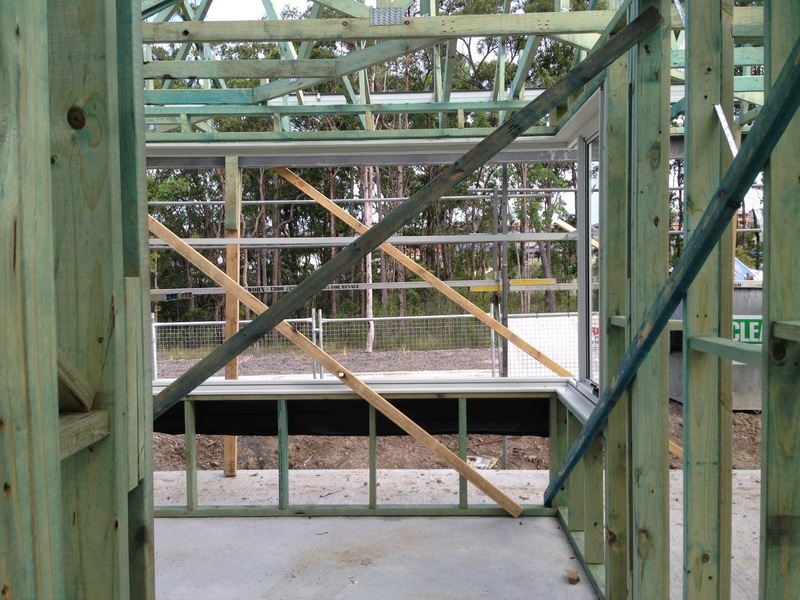 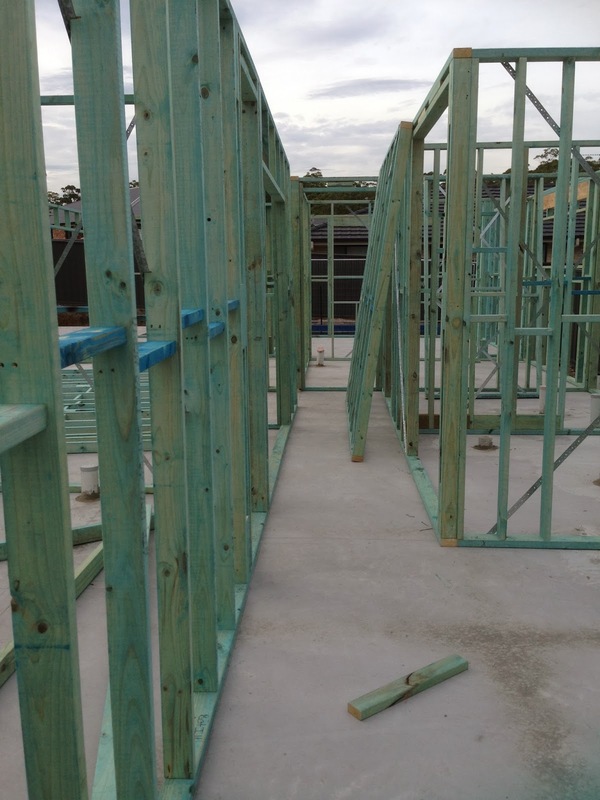 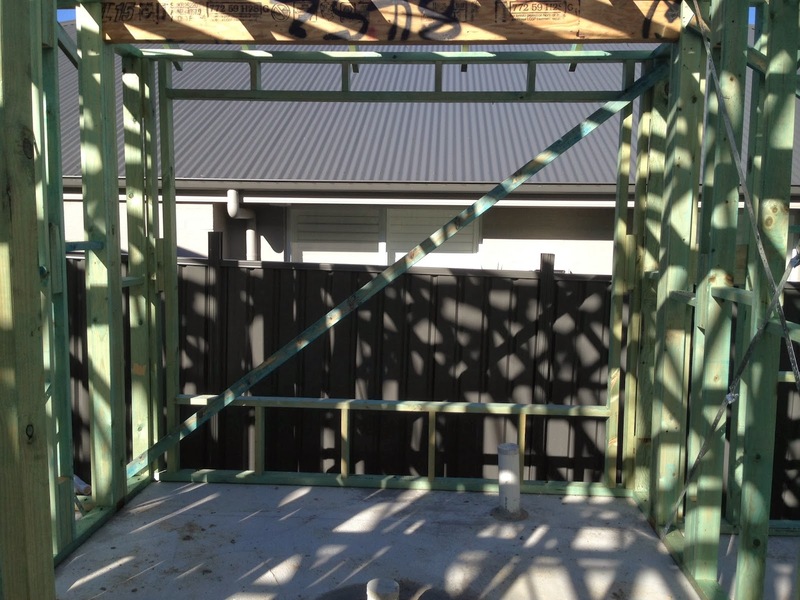 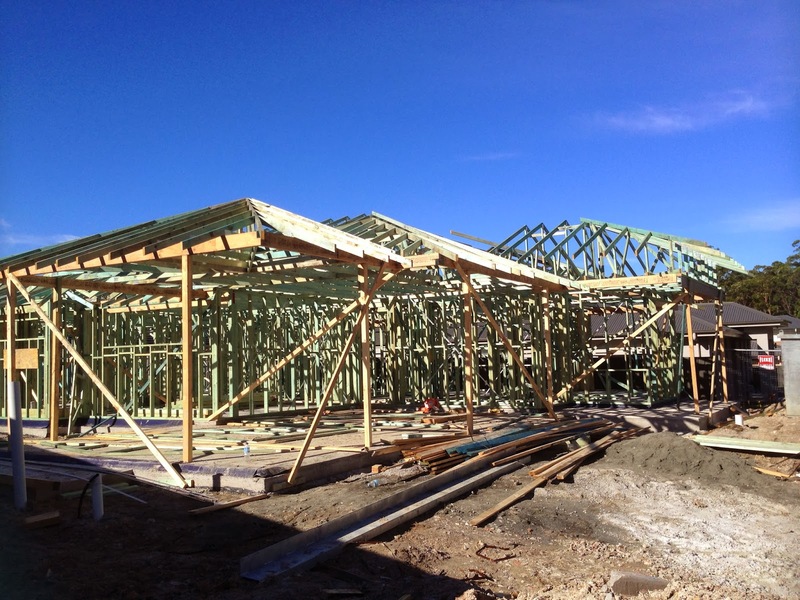 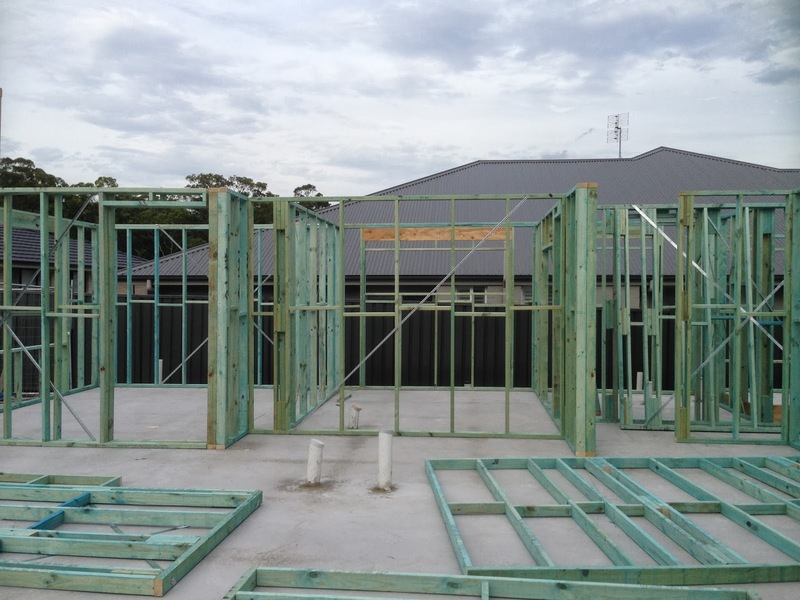 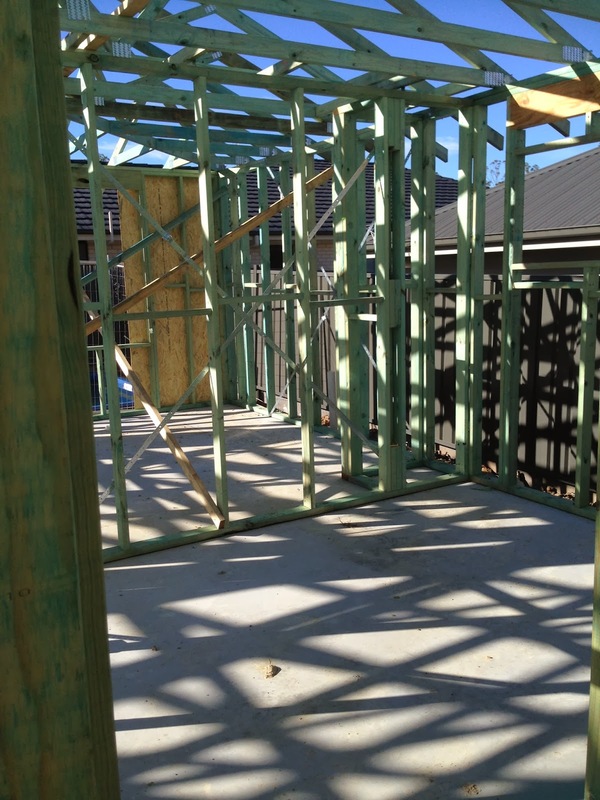 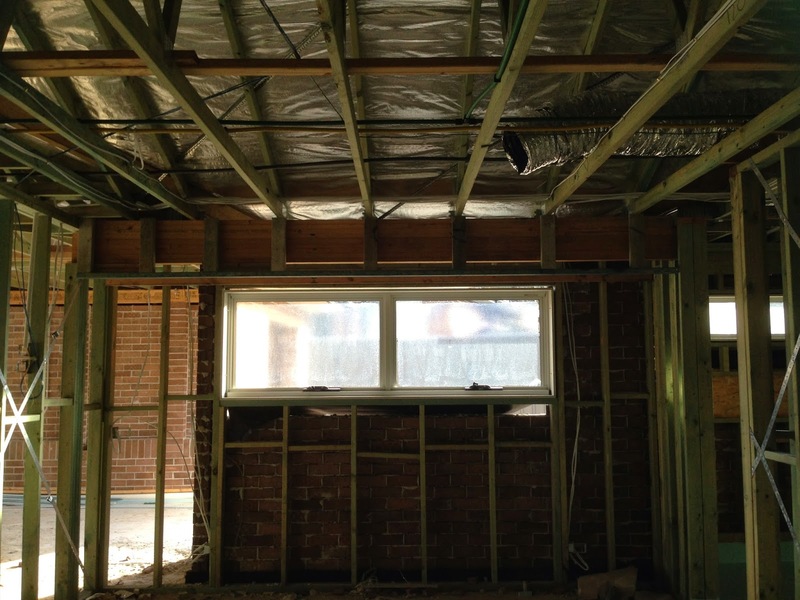 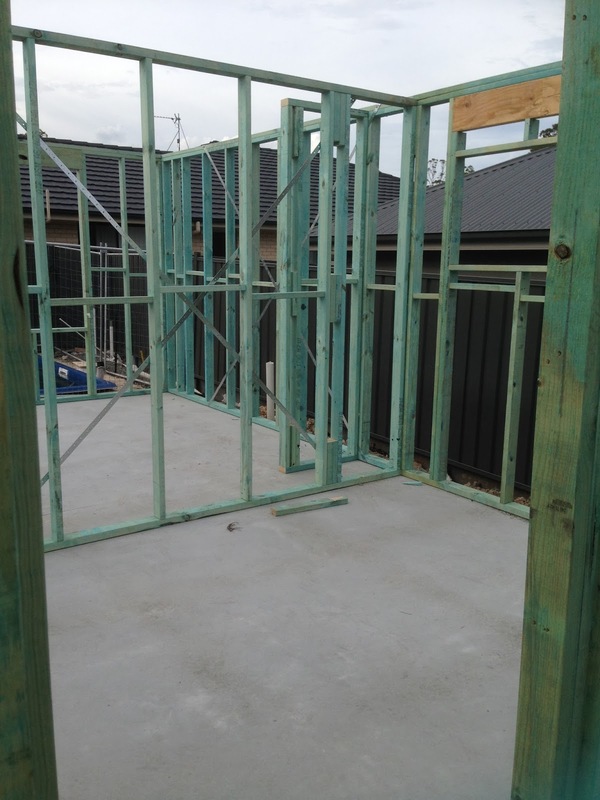 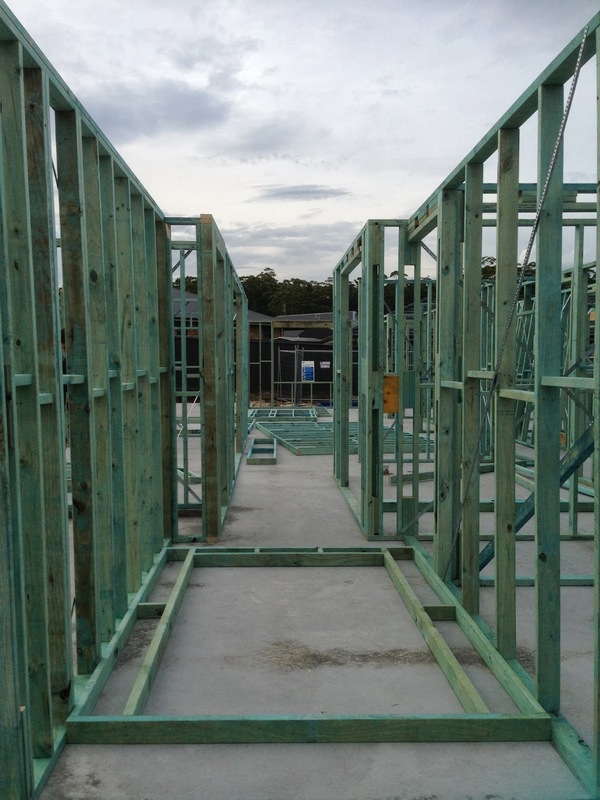 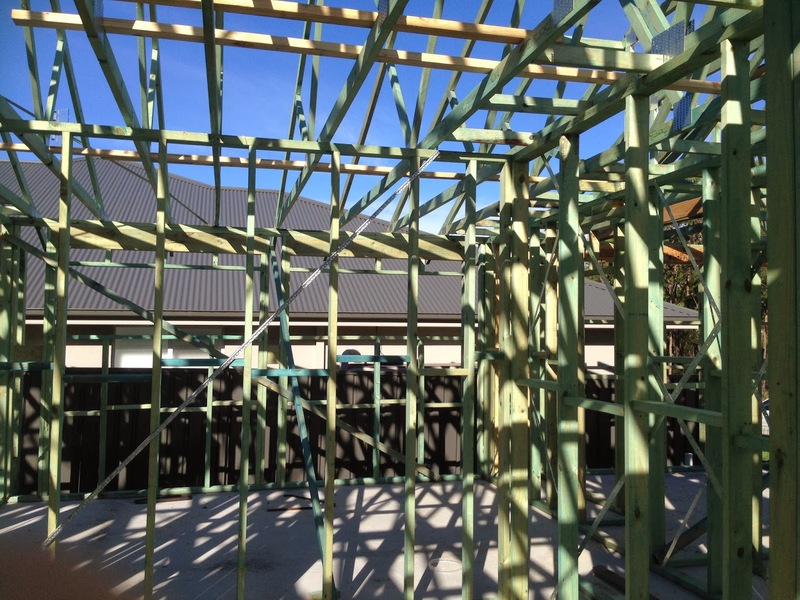 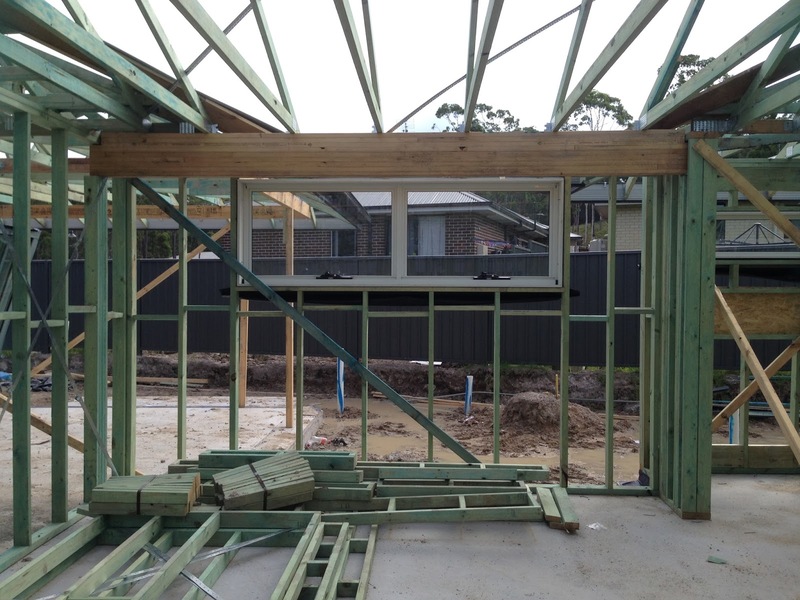 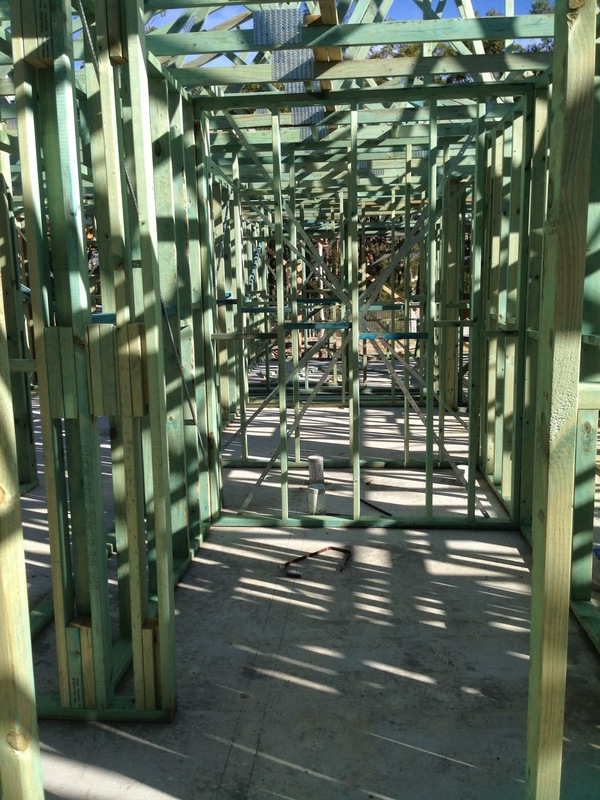 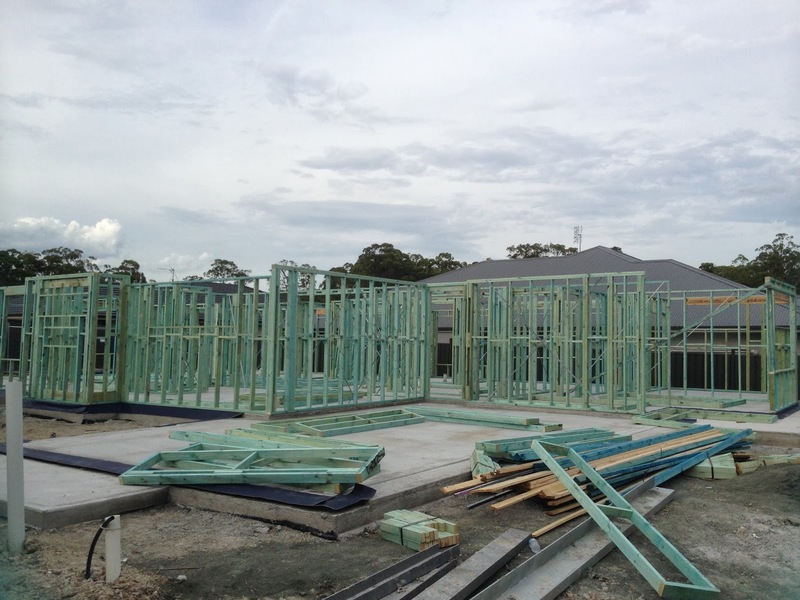 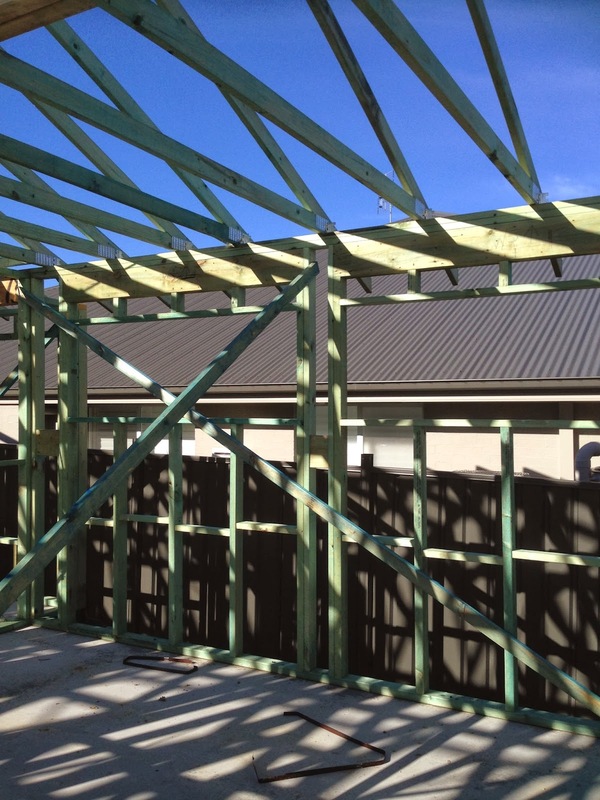 10/04/14 - The rest of the internal frame work was started today. 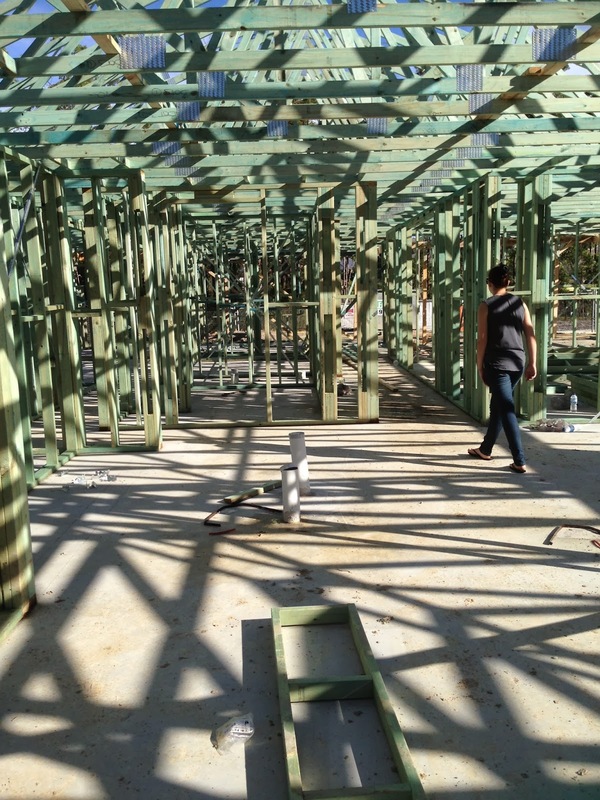 11/04/14 - The internal framework was finally finished today! 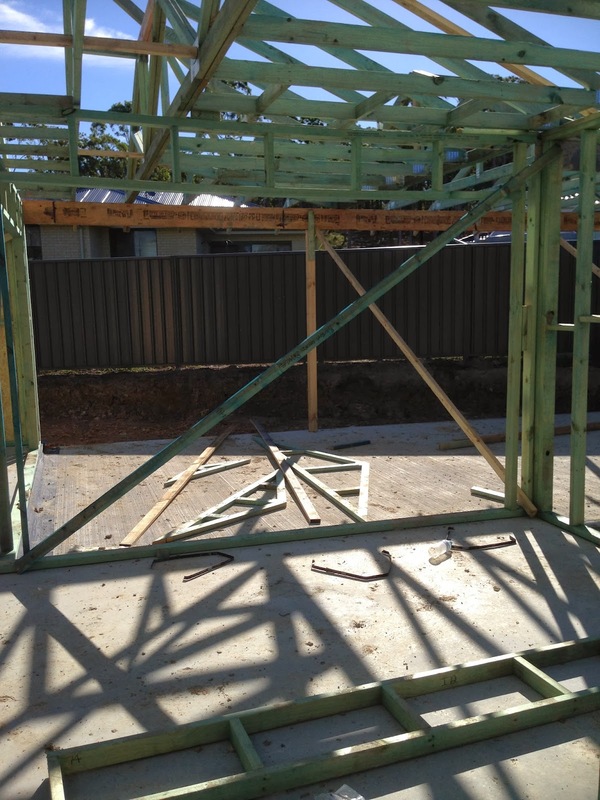 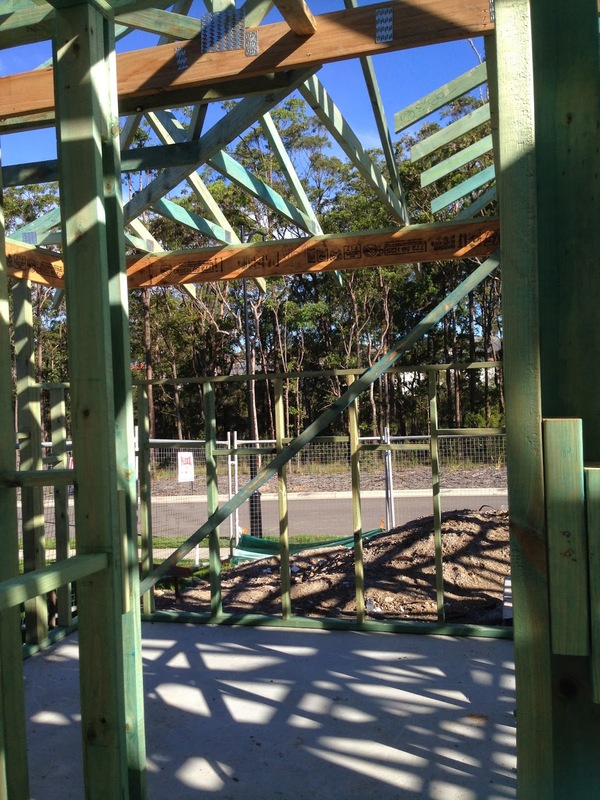 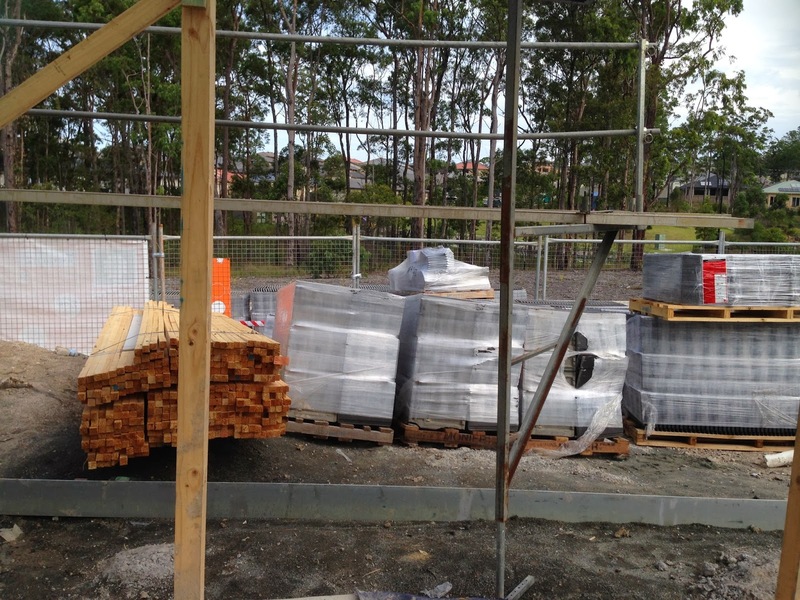 15/4/14 - Just when I think the frame work is finished - they come back and do more.